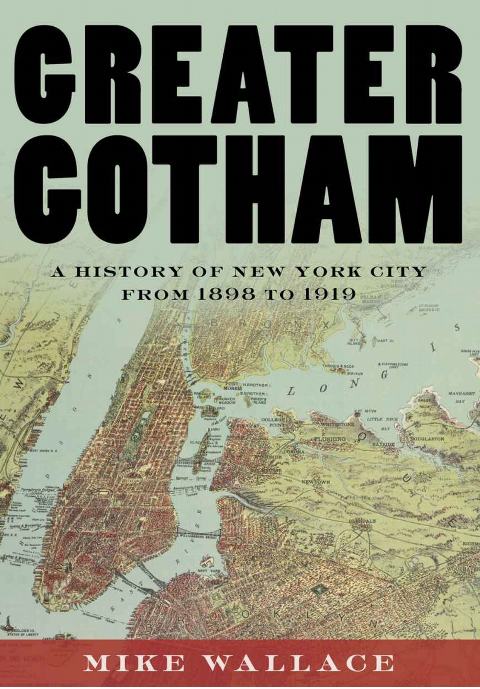 Leaders and members of the Men’s League for Woman Suffrage appear in force in Greater Gotham, Mike Wallace’s prodigious new compendium of the creation, consolidation, and conglomeration of New York into an “imperial city” from 1898 to 1920. I reviewed the book for the Fall 2017 issue of The American Scholar, which appeared today. The League’s main figures all find place in Wallace’s narrative, though often for the many other ways they figured in the creation of the mega-city. Among the League members Wallace mentions are Oswald Garrison Villard, editor and publisher of the Nation and the New York Evening Post; the investor and philanthropist George Foster Peabody; the philosopher and Columbia professor, John Dewey; the attorney Samuel Untermyer; Rabbi Samuel S. Wise; and the writer and eventual editor of the Masses, Max Eastman, who was Dewey’s student in the philosophy department at Columbia. Actually, Villard proposed the idea to the Rev. Dr. Anna Howard Shaw, who was the president of NAWSA, the National American Woman Suffrage Association. After expressing some reluctance, she agreed. Villard then engaged Wise and Dewey as his co-conspirators, and it’s likely that Dewey tapped Eastman to be the League’s hired secretary. Eastman needed money. Eastman, with Villard’s help, recruited Peabody. 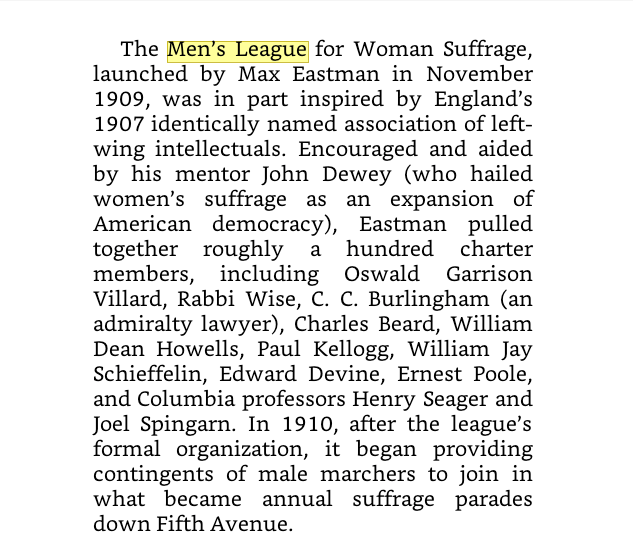 Eastman acknowledges Villard’s key role in this League origins essay he wrote for the October 1912 issue of The Woman Voter. He notes also that he too had the idea for such a League at about the same time. Wallace, however, does provide a good A-list of other important League members who have place for other reasons in the city’s rapid-fire transformation. (Untermyer is major.) There are references to C.C. Burlingham, William Dean Howells, Paul Kellogg, William Jay Schieffelin, Edward Devine, and Ernest Poole, among many others. Of the dozen or more Columbia professors involved—the Ivy League schools all had collegiate chapters—he mentions Charles Beard, Henry Seager, and Joel Springarn. Vladimir Simkhovitch was another important one in League annals.